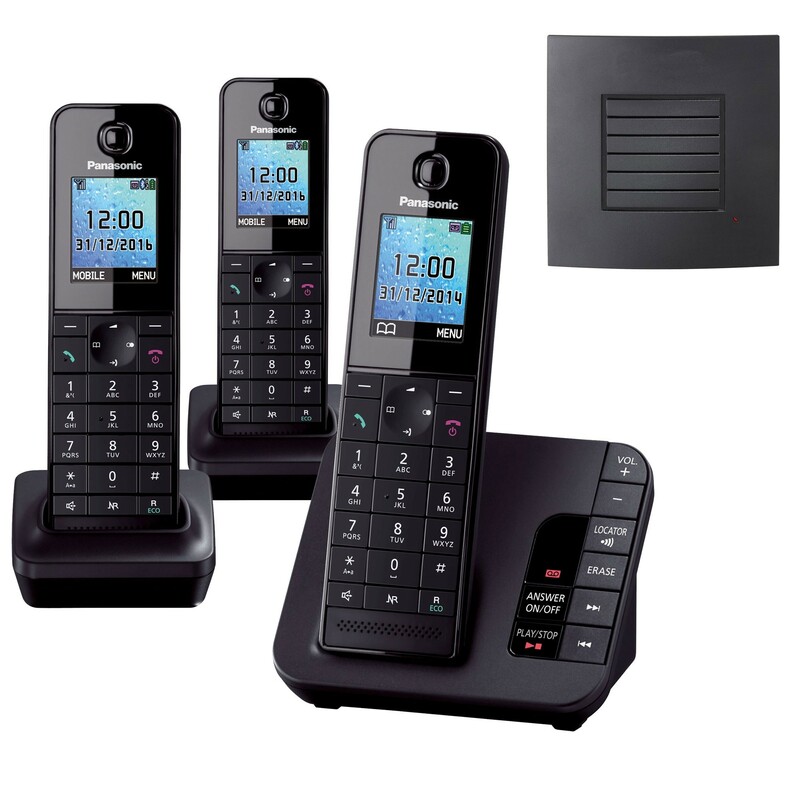 A mid-range cordless DECT phone offering an extra-long range, the Panasonic KX-TGH 220 provides value-adding features and a user-friendly 1.8" colour LCD display. If you have the Caller ID service activated with your service provider, you can use the innovative call management features of the Panasonic KX-TGH 220 to block or silence calls from specific or withheld numbers. A digital answering machine is also included, recording up to 30 minutes of messages. 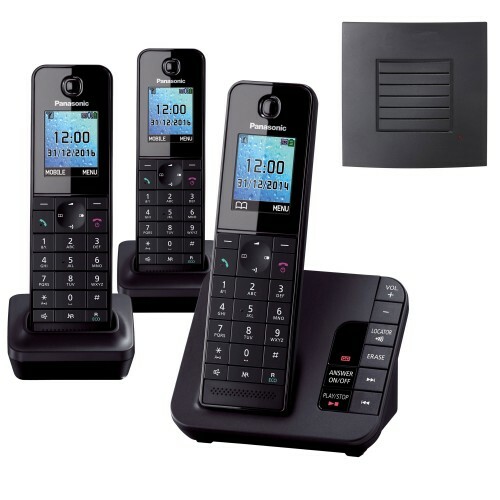 Offering excellent value for money, this set of three Panasonic KX-TGH 220 phones is suitable for both home and business use. Brilliant set of phones from Panasonic. Easy to use, good call quality, and nice look and feel to them. Took a few attempts to get the repeater set up with it, but now it's paired it works well and has given us signal at the far end of our house and out into the garden (which our previous set didn't). Customer service from liGo was excellent. Can highly recommend.